The key to any band’s longevity is consistency, both within a discography and within an individual record. Every album and every song needs to be tinged with a degree of effortlessness matched with constant evolution. In the case of British post-punk legends Wire, none of their records sound identical to anything else in their catalog, yet all of them exist within the same sonic universe. One in which the best of every trend in British alternative music since the late ‘70s is personalized by this band in such a way as to make it sound like they came up with it first and do it better than almost anyone else. That shouldn’t be surprising. They started their career leading the vanguard for punk and helped post-punk take its first steps by releasing defining records of both genres—Pink Flag and Chairs Missing respectively. But their third record, 154, is what cemented the reasons Wire has been such a powerful force for four decades. It’s also the album that their latest, Silver/Lead, has the most in common with. Both feel like the final chapter in a trilogy, incorporating the best of the prior two installments while making some new moves of their own. On 154, it was the mashup of raucous power-chord punk and post-punk experimentalism with new synth and guitar sounds that still make the record sound pretty modern today. For Silver/Lead, it’s a wedding between the hushed tones of their eponymous 2015 release and the catchy-as-hell hooks of 2016’s Nocturnal Koreans. And like 154, it sounds haunted to the core. Sure, there are bendy guitar wails on a track like “Brio” or spacey organ sounds on “Sleep on the Wing” to convey a ghostly quality a little more literally. But from the first track, Colin Newman is already talking about death. “Playing Harp for the Fishes” is something Wire has always been good at. There’s an innate mortality to all their music. Its youthful immediacy has always been wedded to a melancholy maturity. Even when they were writing punk rock songs, they sounded like the adults in a room full of gobbing teenagers. The serpentine subtleties and fresh takes on old ideas are what make Silver/Lead an especially engaging listen. These sorts of background-noise intricacies are what make the album sound so permeated by friendly ghosts, both in pushing forward to something new and harkening back to their heyday. Pink Flag-style punk gets a shoutout from single “Short Elevated Period.” Their Scott Walker meets Depeche Mode phase—think The Ideal Copy—is represented wonderfully by “Playing Harp for the Fishes” and “This Time.” The arpeggios weaving through “Diamonds in Cups” recall songs some of their most classic songs: “Map Ref 41 Degrees 93 Degrees W” and “The 15th” come to mind. For such a left-field band, they’ve always maintained a hooks-first philosophy and this record is no different. The whole is more important than the sum of its parts. 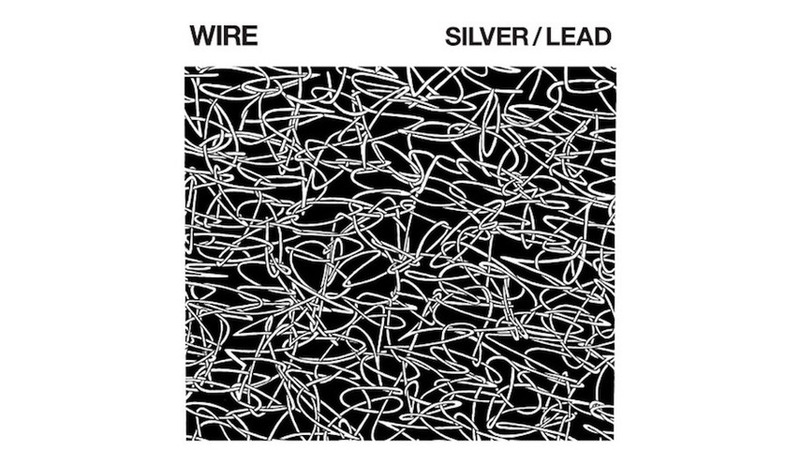 It’s easy to think of Wire as consummate songwriters and even easier to think of them as sonic architects. This haunted house of a record is built with every creak and memory of albums gone by definitely put in place on purpose. It’s remarkable that absolute precision can sound so wispy and natural. As Wire’s career turns 40, they still sound like absolute naturals no matter what they put their minds to. Does anything on Silver/Lead sound revolutionary? No, and it doesn’t have to. When you’ve reached the age that its core members have (Colin Newman, Graham Lewis, and Robert Grey are all in their 60s), you don’t need to be making records at all. That feeling is amplified when thinking about the discography they have collectively amassed together and through their various solo endeavors. The fact that they’ve been cranking out albums as good as this for nearly half a century is a legacy worth appreciating for a really long time.